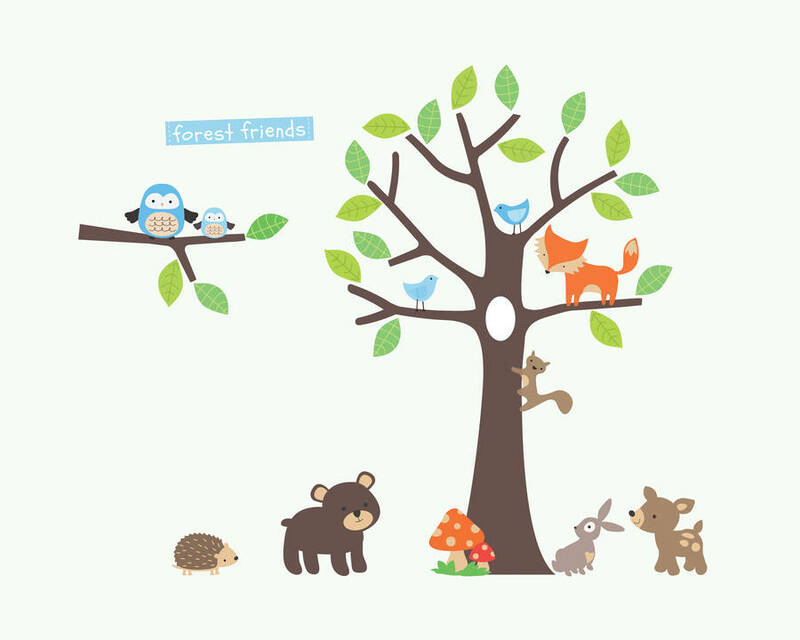 This amazing forest friends wall sticker pack will completely transform your little one's bedroom or nursery. 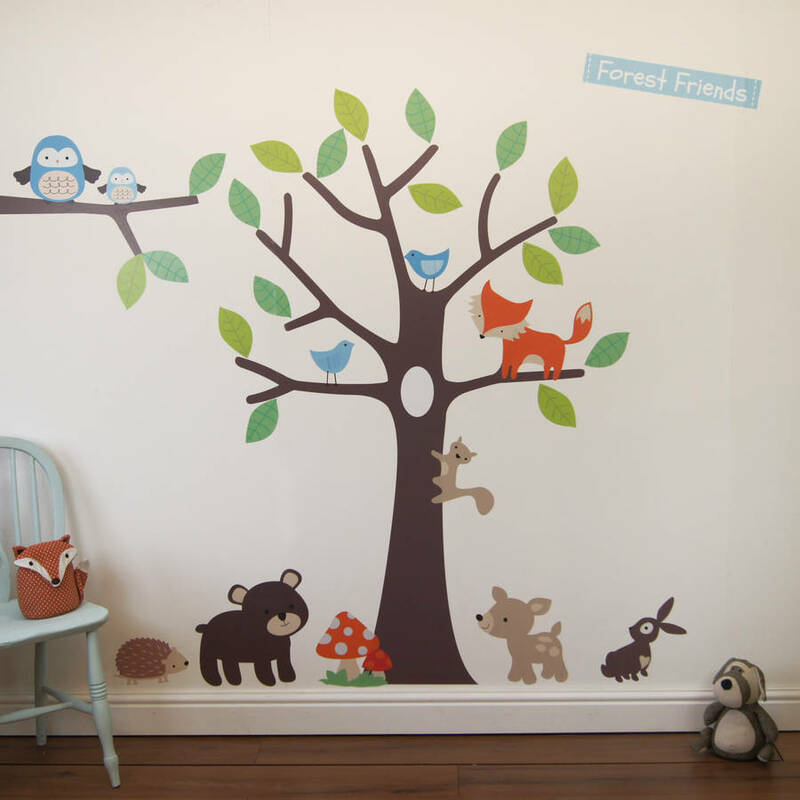 These forest friends wall stickers are made from premium vinyl. 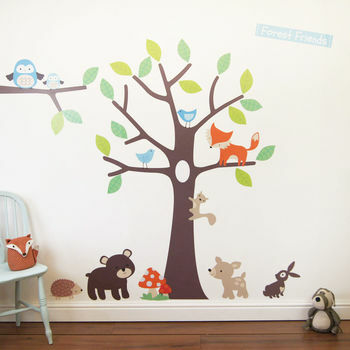 Durable and hygenic these wall stickers can be wiped clean so perfect for children of all ages. The animals and tree are all suplied separately to be placed where you wish. 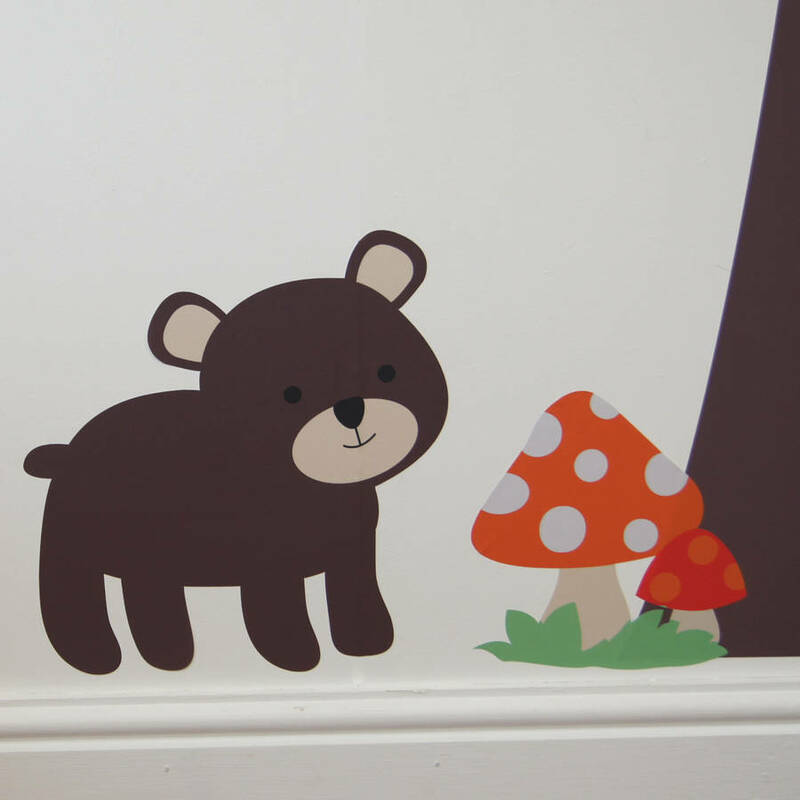 These wall stickers are available in a range of colours and sizes. 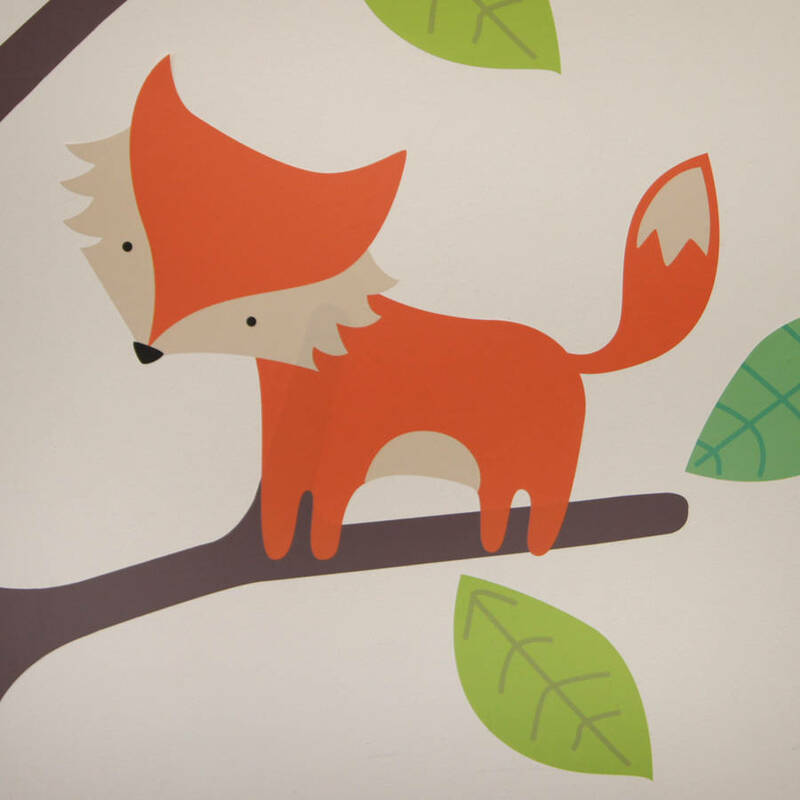 This sticker can be supplied as shown or mirrored to suit the layout of your room. 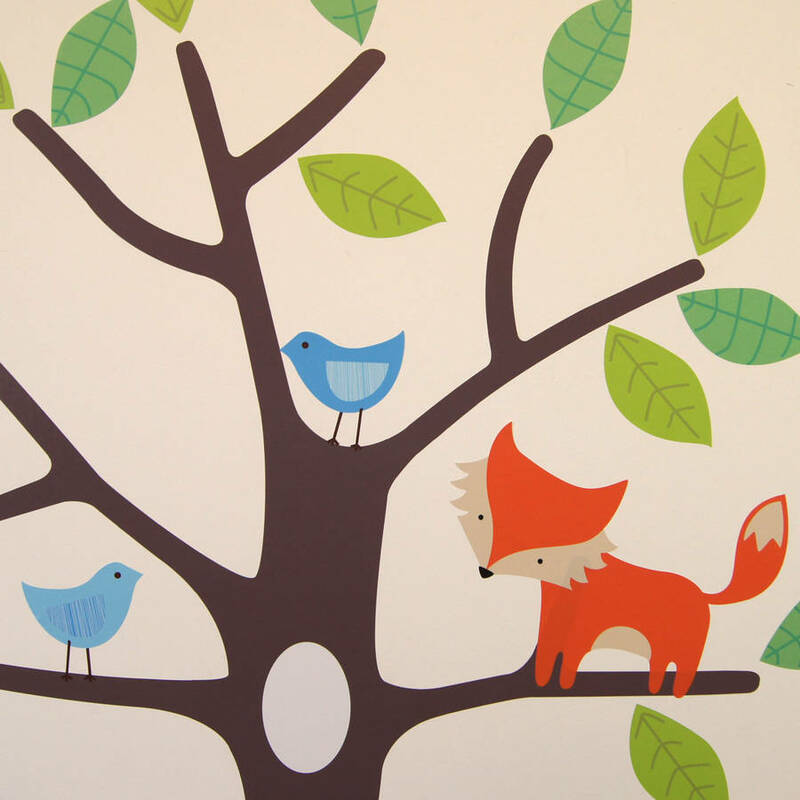 If you would like to purchase this wall sticker in alternative colours from our colour chart, please use the Ask seller a question button to contact us and discuss your requirements. 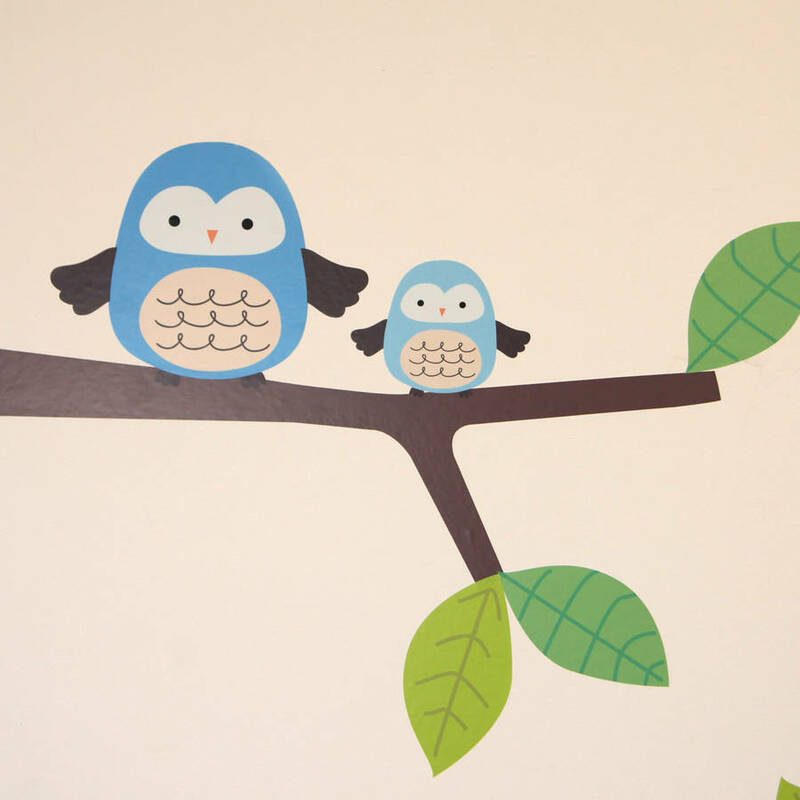 We will be happy to create your wall sticker in custom colours at no extra charge.